Join us for our Epiphany celebration at Ivy Hall. 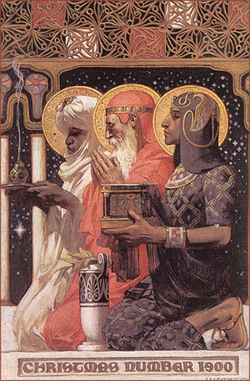 This “twelfth night” feast commemorates the birth of Christ and coming of the Magi or “Three Kings." There will also be a blessing of the house (Ivy Hall) with the traditional marking of the door in chalk. The celebration will begin after the 4pm mass at Our Lady of Lourdes.